Donating in memory of a loved one, or asking family and friends to donate in lieu of flowers at a funeral, is a very special way to honour their life. Gifts in memory are lasting tributes that provide hope to cancer patients and their families well into the future. 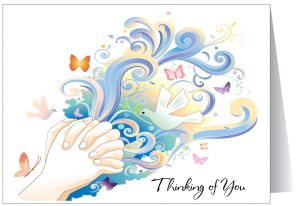 Every donation received in memory of a loved one is acknowledged with a ‘Thinking of you’ card, which is sent to the next of kin and includes a list of family and friends who donated. These cards are handwritten by Cancer Council Queensland volunteers and sent on the donor’s behalf. A tax deductible receipt and thank you letter is sent to all donors. Gifts in memory donation envelopes can be sent out for use at funerals. Contact us to order donation envelopes. If your family would like funeral attendees to leave a donation to us in lieu of flowers, we suggest they include this request in the funeral notice. The notice could include ‘Donation in lieu of flowers to Cancer Council Queensland, PO Box 201, Spring Hill 4004’. We understand that losing a loved one can be a difficult time. If you need support please call Cancer Council on 13 11 20.